HomeCOMMENTARYFalse Flag en Français: CIA Hacked Macron to Stop Russia-France Rapprochement? False Flag en Francais: CIA Hacked Macron to Stop Russia-France Rapprochement? The publication of thousands of emails from accounts belonging to officials from Emmanuel Macron’s election campaign became the icing on the cake in a race already mired in scandal and intrigue. Speaking to Sputnik, intelligence expert Eric Denécé explained why the claims that Russia was somehow involved may very well be a CIA false flag operation. On Friday, less than 48 hours before the French people went to the polls to select their next president, some nine gigabytes of data consisting of thousands of emails, images and email attachments from accounts belonging to Macron’s En Marche! movement were anonymously dumped. The candidate’s campaign admitted that it had been hacked, but claimed that fake documents had been mixed in with authentic ones to spread lies and confusion ahead of the vote. France’s electoral watchdog immediately went to work, warning media not to report on the leaked emails on the day of silence, and saying that part of the files were “probably fake.” However, on Tuesday, WikiLeaks confirmed the authenticity of over 21,000 of the leaked documents. While the identity of the hackers remains unconfirmed, some politicians and media have already rushed to point the finger at Russia, as part of the months-long campaign to blame Moscow for ‘meddling’ in elections across the West– whether in the US, the UK, the Netherlands, Germany, and now France. Former Clinton campaign officials openly accused Russia of masterminding the Macron leak, claiming that the latest hack was “proof” that Russia was “waging war against Western democracies,” ostensibly in an attempt” to help another puppet get elected. “WikiLeaks’ publication of metadata from the leaks, purporting to show the name of an employee of a Russian cybersecurity contractor, further emboldened the ‘Russia did it’ crowd, even though cybersecurity experts have stressed that it’s elementary practice for foreign intelligence services to artificially insert such code to cover their tracks. 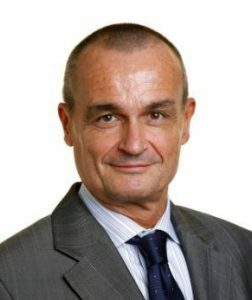 Eric Denécé (pictured), a leading French intelligence and espionage expert and director of the French Center for Research & Intelligence, spoke to Sputnik France about the Macron leak, the allegations of the ‘Russian trace’, and the scandal’s implications for the future of Russian-French relations. To begin with, Denécé exclaimed that he was struck not only with the media’s reaction to the hacks, but by the very fact that the hacking and leaks took place the way they did. “We understand very well how difficult it is to influence elections in a democratic country. One can try to destabilize a candidate, but to do so it’s necessary to have something to go off,” the security expert noted. “We saw that this worked with [the candidate] Francois Fillon, since he did not prepare for the elections in a sufficiently serious manner. But we also saw that this did not work in the case of Donald Trump; and in the case of Macron it looks like complete nonsense. 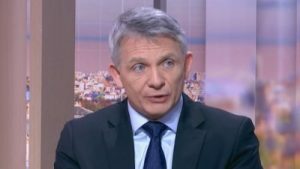 What I mean is that it is nonsense to suggest that the Russians were systematically trying to prevent Macron from coming to power….This is just utter nonsense,” Denécé stressed. 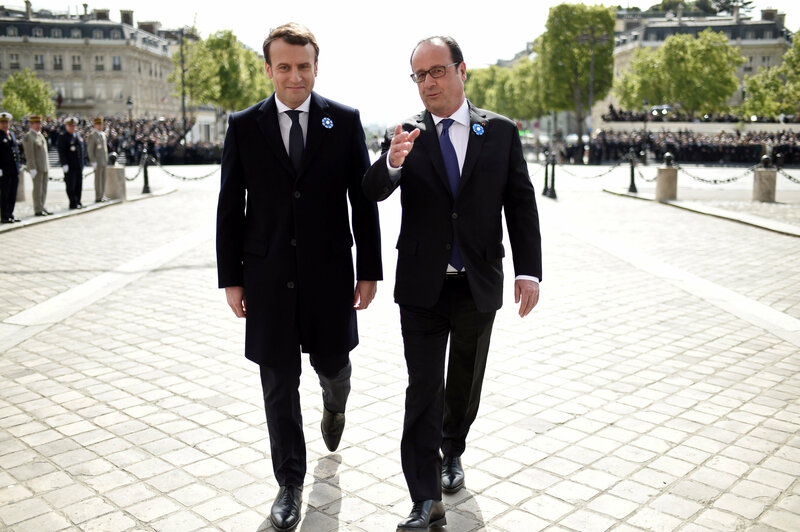 Outgoing French President Francois Hollande (R) and President-elect Emmanuel Macron attend a ceremony to mark the end of World War II at the Tomb of the Unknown Soldier at the Arc de Triomphe in Paris, France, May 8, 2017. “In other words, it’s possible that what we’re seeing is an operation whose real purpose is not to destabilize the candidate, who in any case won the election anyway, but rather to prevent the establishment of normal relations between Paris and Moscow,“ Denécé emphasized. Earlier this year, WikiLeaks revealed the existence of a CIA anti-digital forensics tool used by the agency to disguise CIA hacks with traces of Russian, Chinese, Arabic or other languages in metadata code to divert attention from their own hacks against foreign actors. 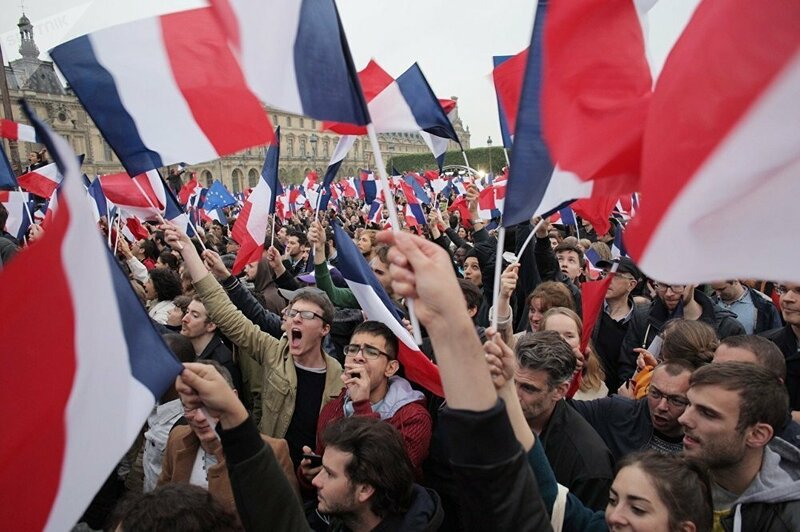 Supporters of French president-elect Emmanuel Macron react at the Louvre Museum in Paris on May 7, 2017, after the second round of the French presidential election. In the case of France, Denécé suggested that “elections seem to have become a monstrous farce,” this fact manifesting itself in the destabilization of the Fillon campaign and the election of Macron. “I don’t think there was any operation from abroad to destabilize Macron, and if there was, it certainly didn’t harm him.” Ultimately, the expert lamented that as far as France’s relations with Russia go, there is a danger that Macron may be gotten at by the French neocons. Putin Speaks Out With Verbal Scold for Crybaby Democrat Party!